Behind the times? Don't worry, you can get a PS3 and Xbox 360 at a significantly lower price until Oct. 24. Amidst all the buzz about new-gen consoles, some people may still be itching for a good time to buy a cheap current-gen console. From Oct. 11 to Oct. 24, GameStop will be selling any pre-owned PS3 systems for $150 and pre-owned original Xbox 360 systems for $100. The Xbox Slim 4GB model will also be discounted at $120. In addition, anyone who takes advantage of the sale will receive a pre-owned game of their choosing priced less than $19.99 for free. Members of GameStop's PowerUp Rewards program have early access to the promotion and will be able to use the sale price starting today instead of tomorrow. PowerUp Rewards members will receive a 30% discount on all Xbox 360 and PS3 pre-owned accessories while PowerUp Rewards Pro members receive 40% off. Apple fans can also buy a pre-owned Kindle Fire 8GB for $90 or a pre-owned iPod Nano Gen 5 starting at $40. 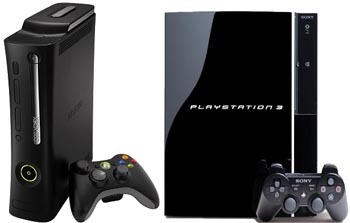 The PS3 and Xbox 360 still have a few years left in them before Sony and Microsoft pull the plug on them. For someone without a PS3 and/or Xbox 360 and uninterested in the PS4 and Xbox One, getting a used current-gen console for $100 is not bad at all. Many of the initial games on the Xbox One and PS4 are or will be released for the Xbox 360 and PS3. For example, the upcoming Assassin's Creed IV Black Flag, Call of Duty: Ghosts, Watch Dogs, and Battlefield 4 will be PS3- and PS4-supported games. The offer ends Oct. 24. The PS4 and Xbox One will both launch in November.